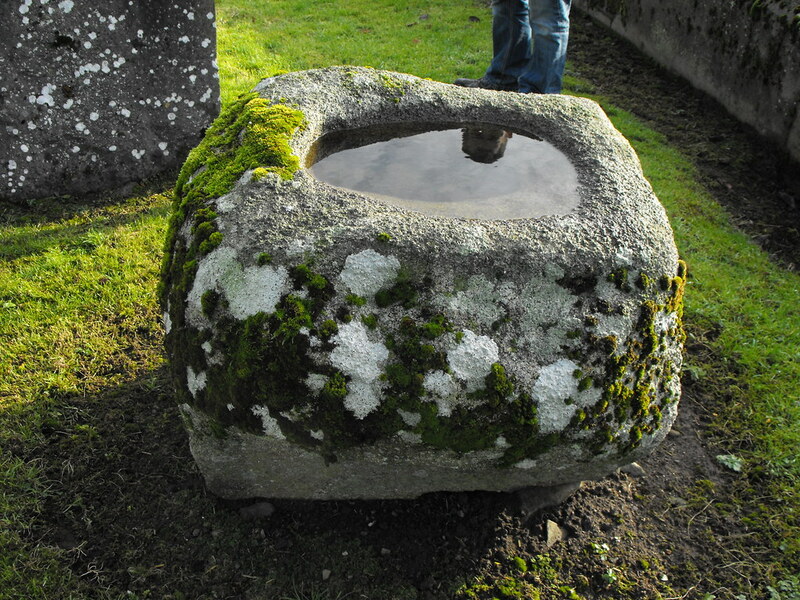 The Standing Stone: Oldleighlin Cathedral, Co. Carlow. 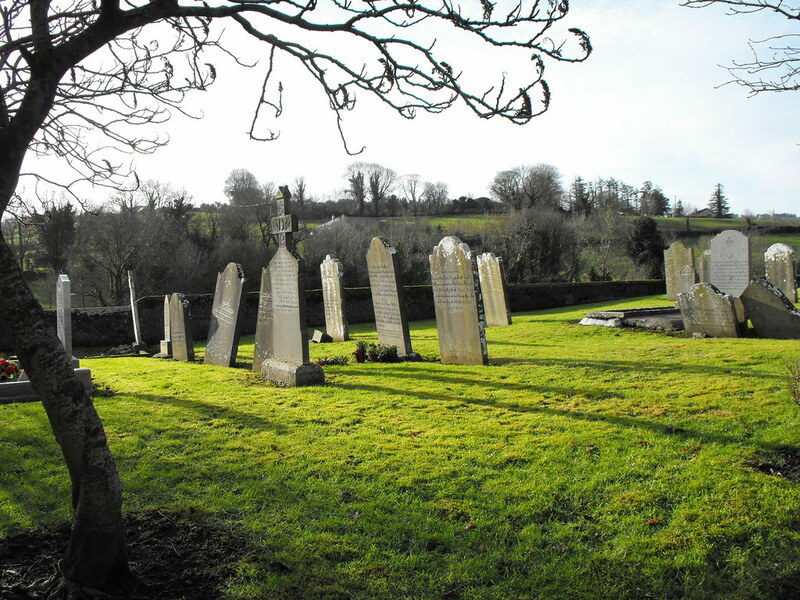 Location – In the village of Oldleighlin about 3km W of Leighlinbridge just N of the Madlin River. There is a holy well, cross and rag tree to the W of the site. 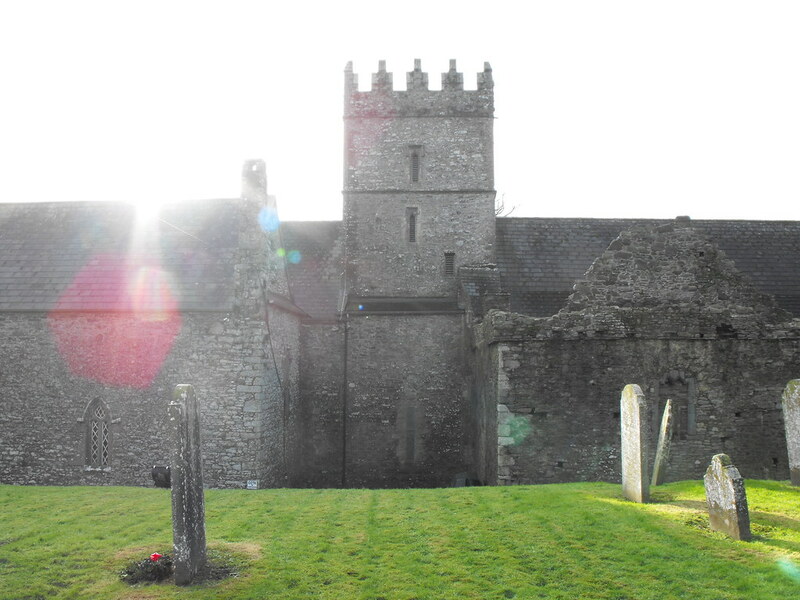 Description and History – When I looked this site up in the Archaeological Inventory for County Carlow I was not prepared for what I would see...this Cathedral is still used. I’m so used to finding a pile of ruins in a field somewhere that this was a welcome surprise. The only part that is ruined is the surviving transept. The rest is still a functioning Cathedral with a very interesting history. 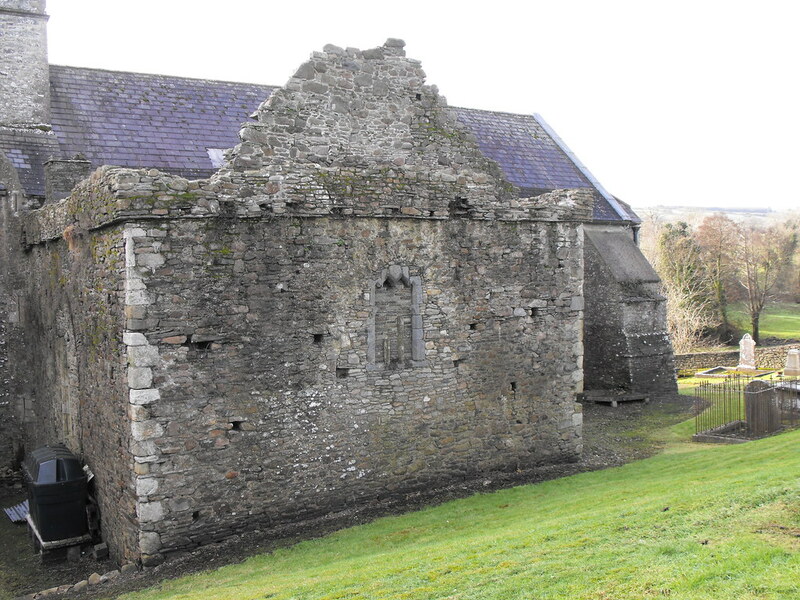 A Benedictine monastery was founded at Oldleighlin in the 7th century AD by St Gobban and St Molaise (also known as St Laserian) succeeded him as abbot of the monastery. Some sources say that Molaise was the brother of Gobban. Molaise allegedly died in an act of self sacrifice when he removed a hair from St Sillan’s eyebrow which caused death to anybody who saw it. Molaise died in c. 639 and his feast day is celebrated on 18th April with a service in the church and a parade to the nearby holy well. Molaise was foreshadowed by a vision of his Gobban’s. Gobban was said to have seen angels hovering over Oldleighlin who foresaw the arrival of a man who would gather ‘God’s servants’ to the monastery. This prophecy was fulfilled in Molaise’s lifetime and by the time he died there was somewhere in the region of 1500 monks at the monastery. 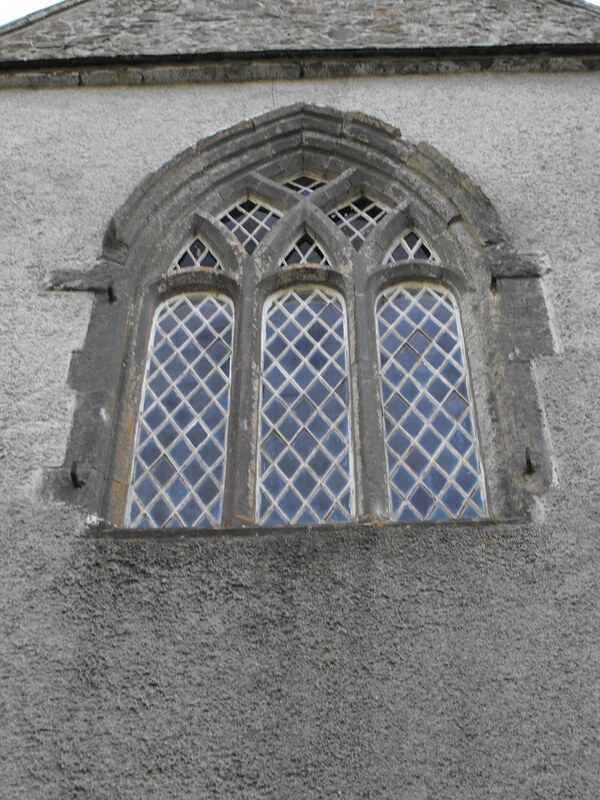 Oldleighlin them became an Episcopal See and Molaise its first bishop. 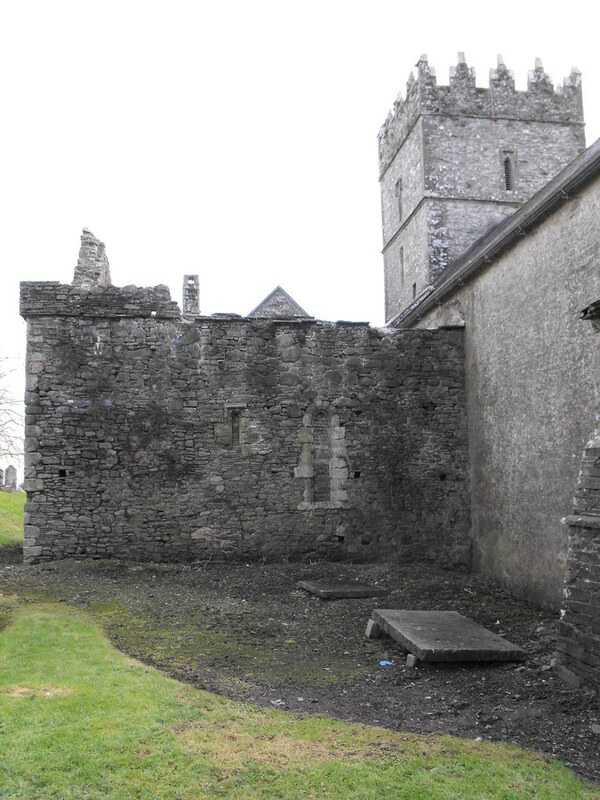 The monastery was selected as the site of a synod in 630AD to settle the dispute between Ireland and Rome over when Easter should be celebrated. It was decided to adopt the Roman method for determining Easter. 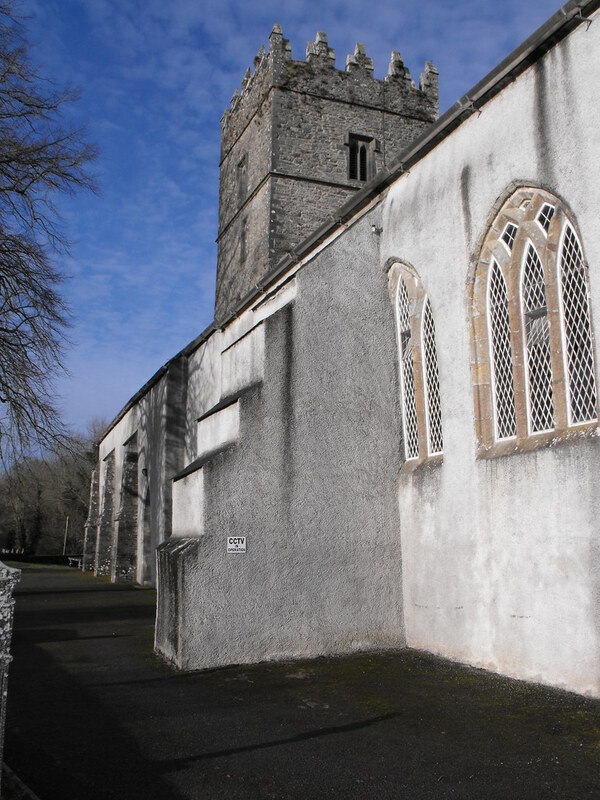 The diocese of Leighlin was created in 1111AD and at the synod of Rathbreasail. 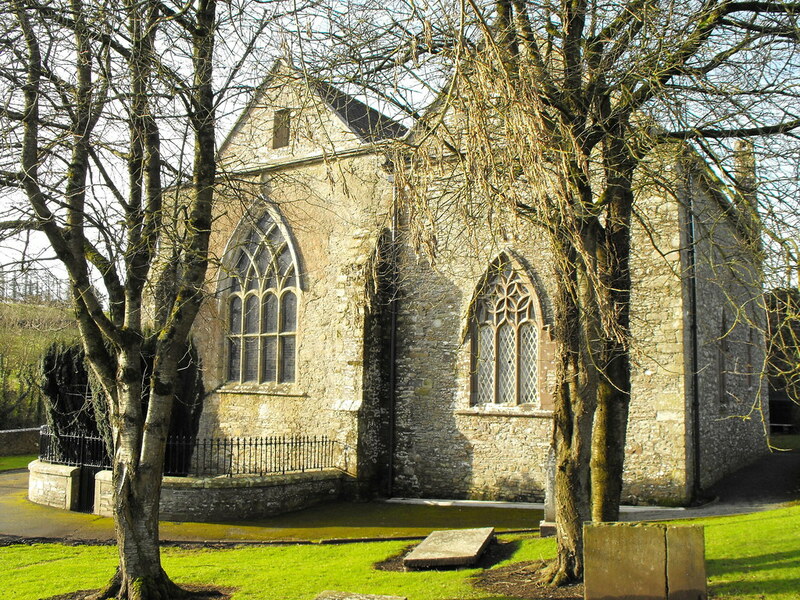 The diocese was combined with Kildare in 1694. 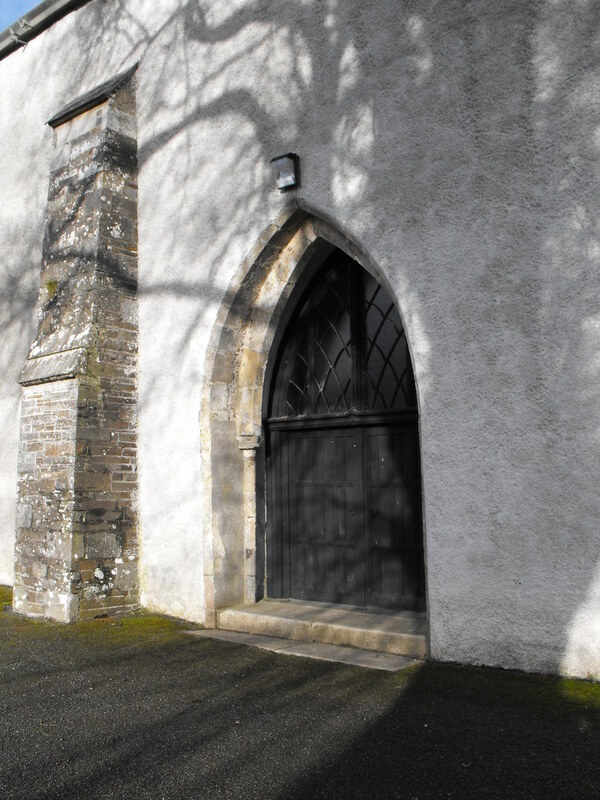 The original church buildings, which were wooden, burnt down in c. 1060AD and just under a century later work on the stone building began and was completed by the end of the 13th century. The remains of the nave and chancel are all that remains of this phase of building and are now incorporated in to the 16th century rebuilding when the transepts and tower were added. There also appears to be some later work on the E side of the Cathedral. One transept is now missing and the other is ruined. The surrounding graveyard is equally as fascinating as the church and contains many ornate gravestones dating from the 17th century onwards. 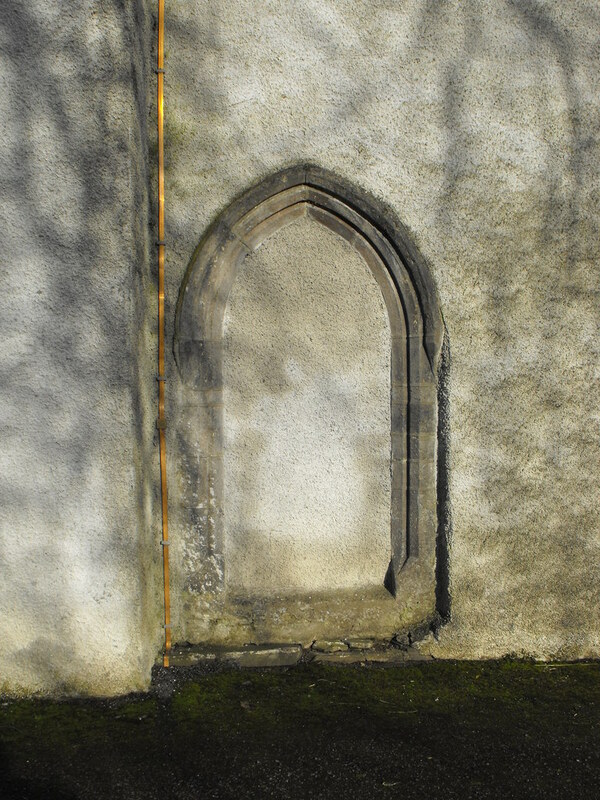 Also located in the graveyard is the base of a high cross. This really is a lovely site to visit and is well maintained and seems to have fallen right out of a postcard. Difficulty – Easy to find and get around. The E face of the Cathedral. 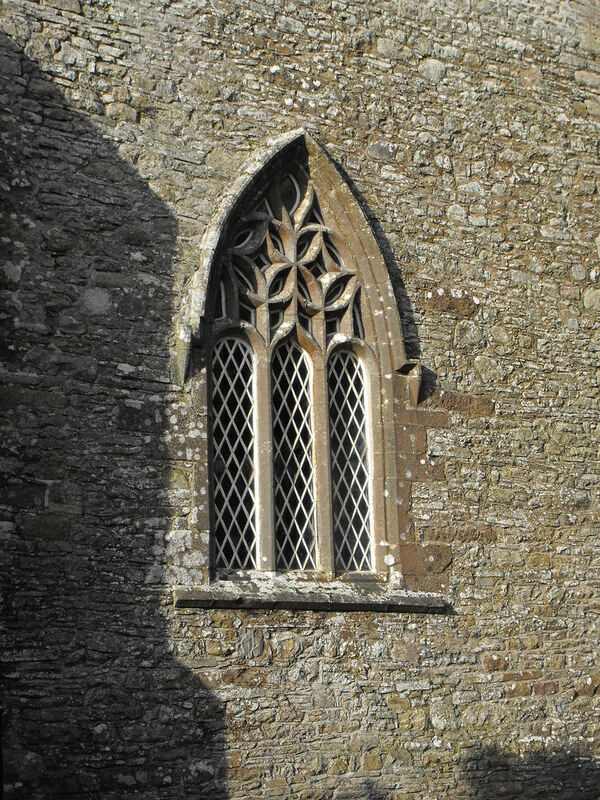 Late medieval window in the E face of the Cathedral. S face of the church with a buttress and modern plasterwork. 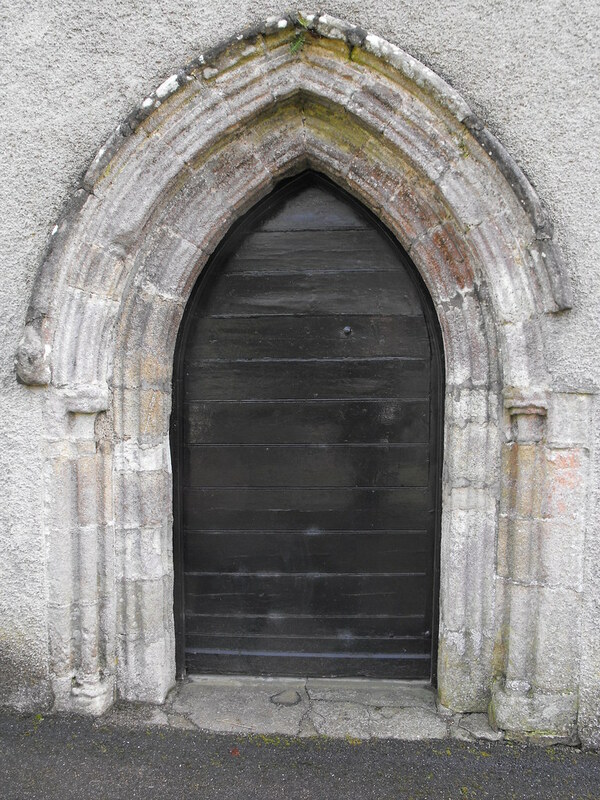 Fine medieval doorway on the W face of the Cathedral. 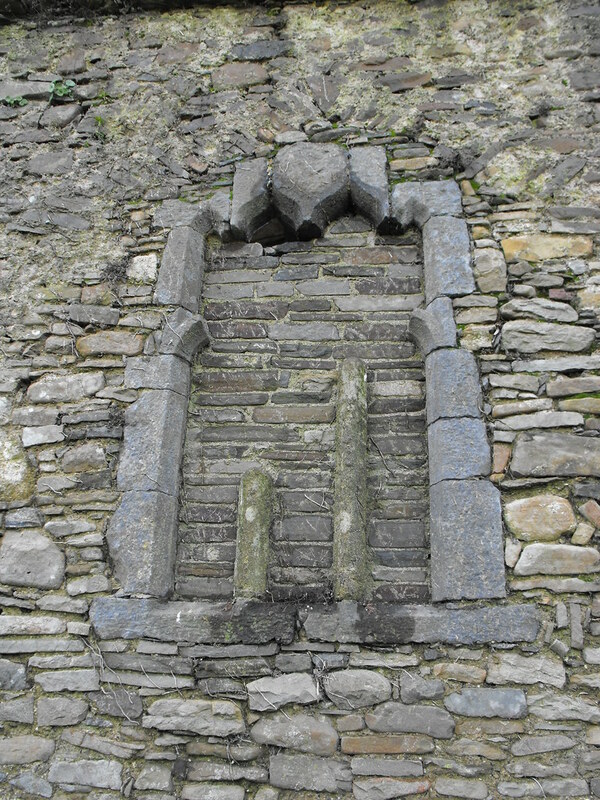 Blocked up triple window in the ruined transept. This looks to me like it would have been quite beautiful. 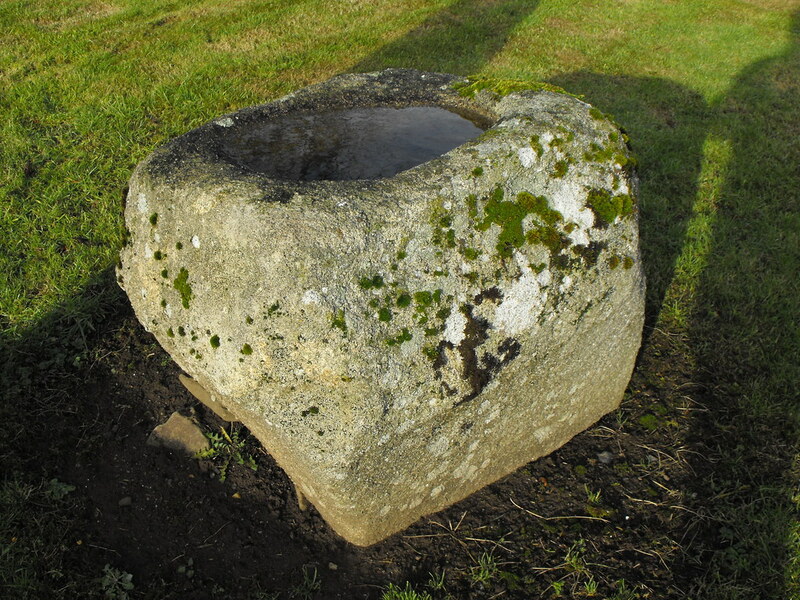 Base of a now lost high cross.